We offer a full project co-ordination service from design to completion. Communication is the key to a successful project. From the translation of your initial ideas into the design, throughout the build, up to completion and including the supply of the goods, we will guide you through each step of your project. We have now worked on in excess of one hundred and fifty projects and on each one we have learnt something new, so our knowledge has increased exponentially. Building work is never a comfortable experience but with good project management and careful planning, we try to make it run as smoothly and economically as possible. We don’t, by any means, know everything about refurbishments and renovations but if we don’t have the answers we know someone who does. We work closely with a large network of architects, structural engineers, party wall surveyors, planning consultants, contractors and sub contractors. We take as much care as we can to help the client with what can be a difficult process, sometimes issues do occur, but we make finding a solution the priority. As it is essential that you have an informed idea of budgets before beginning any work, we compile a comprehensive specification, this is used as the basis for their contractor tenders. Timescales are just as important and once the contractor is selected, a schedule is worked out. 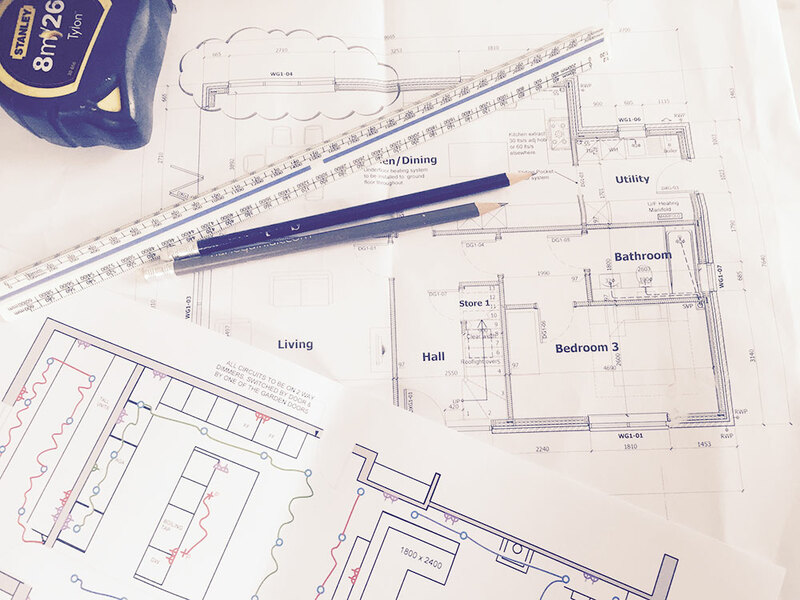 As the client, your requirements and desires have to be communicated to the contractors and sub contractors in a form that they can quickly interpret and where there is no room for confusion which is why layouts, lighting and plumbing plans are so important. From the moment they are appointed, we liaise closely with the contractors and subcontractors. We are experienced in making applications for planning, building control, listed building consent and local authority grants. "I have worked with Georgina on two separate and extensive projects in my home and each time it has been a pleasure. On each occasion Georgina has appeared to effortlessly understand my ideas, however vague and has been able to help me translate them into comfortable, inviting and stylish spaces which my whole family now enjoy. She always has plenty of fantastic ideas to help get the most out of a room and is very knowledgeable about the market so is able to help achieve a "look" whilst staying within budget. Tapping in to Georgina's expertise has saved me an enormous amount of time searching for the perfect tile or fabric as well has helping me find the most cost effective way of finishing my home. Georgina is so friendly and approachable that I have always genuinely enjoyed my meetings with her and I cannot recommend her highly enough."